Members from our P.T.A. 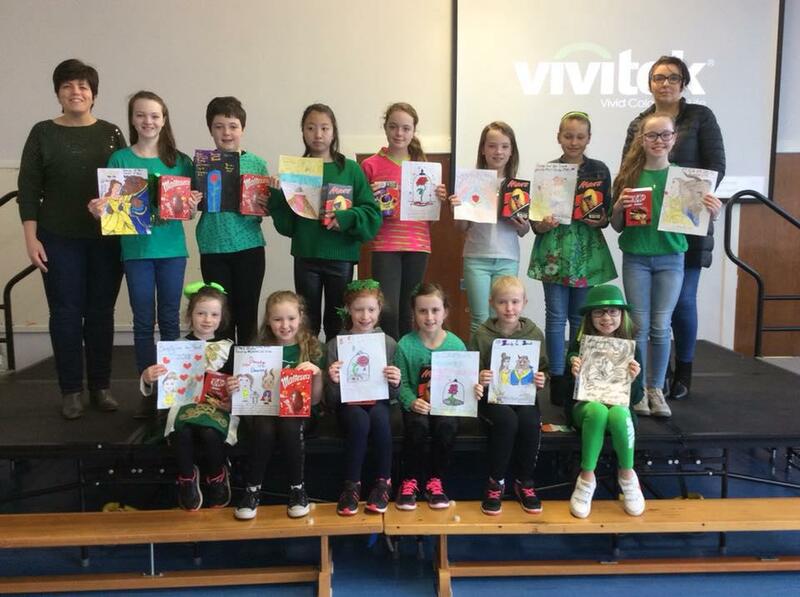 Mrs Stephanie Tohill and Mrs Tracy Mc Closkey presented our finalists of the Beauty and the Beast poster competition with their prizes. 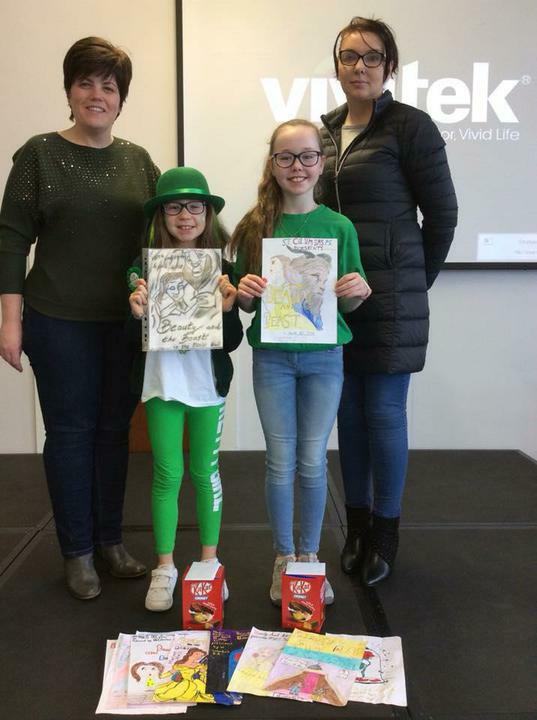 A special congratulations to the two winners, Aoife and Sara!